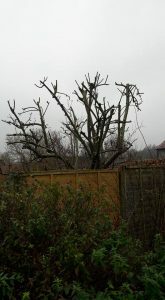 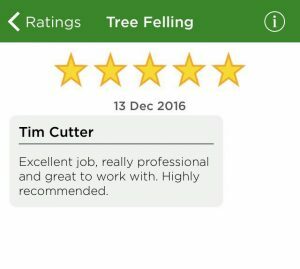 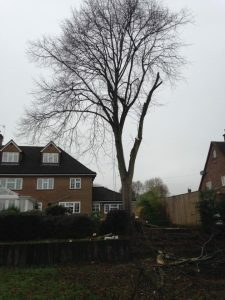 Lime tree we removed today. 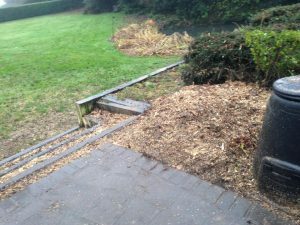 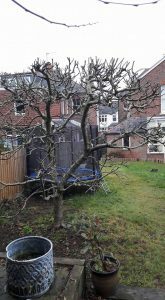 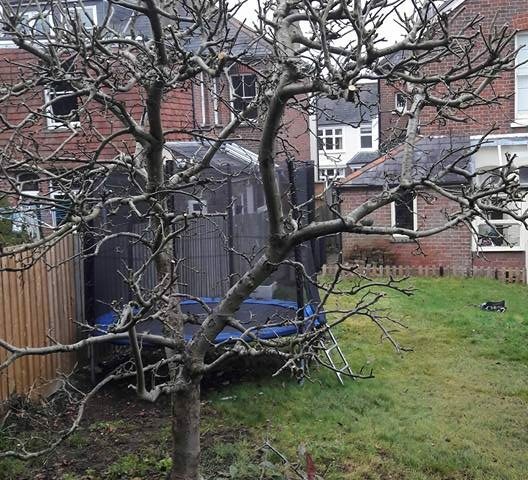 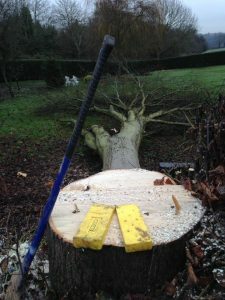 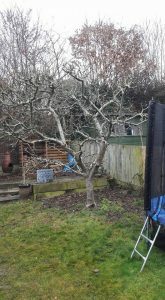 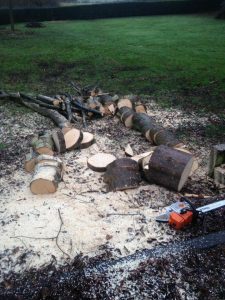 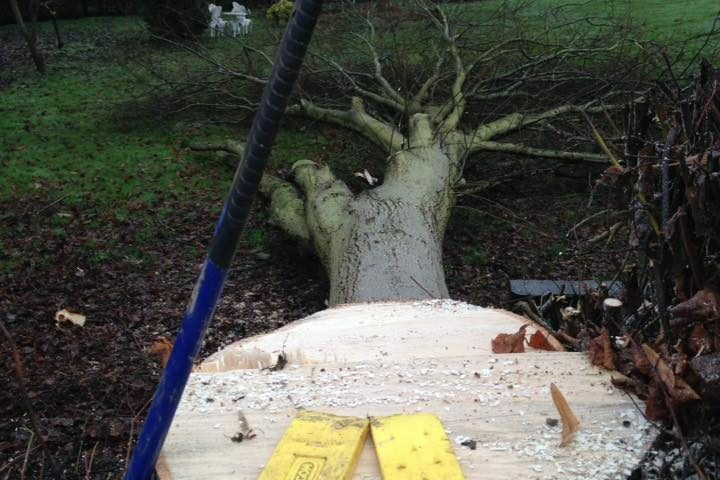 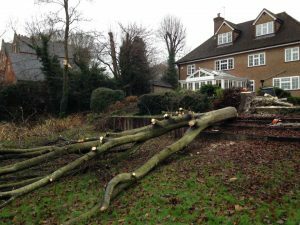 Firstly we removed selective branches to enable us to fell the remaining tree safely onto the lawn. 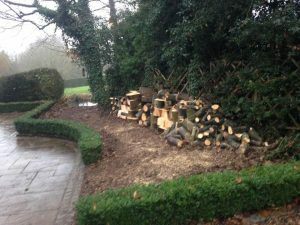 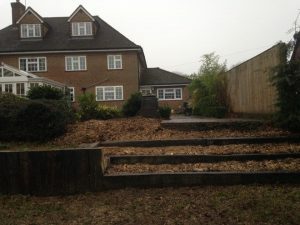 Logs stacked and stump removed.